Chestnuts are a delicious and healthy food! They are high in carbohydrates (45%) and very low in fat (2-3%), while other nuts are over 50% in fat. Chestnuts are like a "grain that grows on a tree" and are similar nutritionally to wheat and brown rice. Chestnuts contain 6-8% high quality protein and no cholesterol. Low fat, high carbohydrate diets are recommended by the American Heart and Cancer Associations. Chestnuts must be cooked before eating; uncooked they are like a raw potato. The traditional way is to roast or boil them. To roast chestnuts, cut an "X" through the shell of the nut. This enables the shells to open up as the nuts cook; otherwise they would explode. Put them on a tray in the a 350 degree oven for 15-20 minutes until they can be pierced easily with a fork. An easy way to peel them quickly for use in cooking is the cleave them in half and boil or steam them for 8-10 minutes. The half-kernels are easily removed from the shells while hot. Boil them for less time (6-7 minutes) if you're planning to add them to another dish in which they will continue to cook. Around the world, there are countless recipes that are made with chestnuts. From a simple simple stew slowly simmered over an open fire to the new haute cuisine, they can be used in a wide variety of dishes, from appetizers to main courses to deserts. In different forms chestnuts were eaten at breakfast, lunch and dinner and were also eaten as a snack. In New York and in many cities in Europe and throughout the United States, street vendors serve hot-roasted ('calderroste' in Italian) chestnuts during the Holiday season. They are cooked over an open charcoal fire in vented chestnut roasting pans and served hot in small paper bags, which makes an excellent hand warmer on a cold winter day. Many cities in Italy have chestnut festivals, where stores feature many types of foods made with chestnuts, from candied marron glace to cakes, pastries, candies and ice cream. Every country has its own traditional dishes that are made with chestnuts. In France, chestnut soup is made in a variety of different manners, usually ground into puree and cooked with chicken stock, milk or other liquids, while crepes filled with chestnut cream are a standard item in the village creperies. In the Valais region of Switzerland, 'brisolee' is an ancient dish of chestnuts roasted with cheese. The poplular Armenian dish 'Dolma' has chestnuts mixed with rice, lamb and spices and wrapped in grape or cabbage leaves. Chestnut stuffing with turkey is a holiday tradition in both America and in Europe. Chestnuts compliment the flavor of meats, game and poultry and add a wonderful sweet richness to soups, stews, and dishes with vegetables. Chestnuts are also eaten as a stuffing or cooked with pheasant, duck, goose and chicken. Chestnut-fed pork and beef are considered a delicacy because the chestnuts impart a sweet flavor to the meat. Pigs are fed on chestnuts to produce such specialties as the Serrano hams in Italy and 'jamon iberico' in Spain. Chestnuts were ground and cooked in milk and honey or sugar as a breakfast food, and this was also fried to make a sweet fritter. Chestnuts were also added to porridges. Chestnut flour, made from grinding chestnuts dried in the smoke over a chestnut wood fire, was used in pastas, cakes, breads and pastries. Native Americans made a mixture of ground corn and ground chestnuts, which they wrapped in corn husks and boiled to make a simple bread. It makes a rich addition to necci, a popular chestnut flour crepe. Chestnut flour gnocci is filled with cheese or chestnut puree. Castagnaccio is a famous Tuscan cake made with chestnut flour, olive oil, pine nuts, rosemary and raisins. Chestnut polenta, where ground chestnuts were substituted for ground corn, was one of the foods that the people of the mountains depended upon during winter and hard times. It is said that during World War II, the entire population of Corsica survived off chestnut flour. Chestnut flour adds a sweet flavor to cakes, pastries, breads, pancakes and pastas. If dried fruit is added to the chestnut bread it is known as ‘Lavish’. It can be used as a 100% substitute for flour, which makes it cakes very dense, at is gluten free. It can also be mixed with other flours in 25:75 or 50:50 (chestnut flour: wheat flour) ratio to add the sweet smoky chestnut flavor. Dried chestnut flakes are an excellent addition to muesli, granola or other breakfast cereals that has been served for centuries. Ground into a puree, chestnuts can be eaten as a savory food when prepared with spices and meats. This can be incorporated as a stuffing or a sauce on top of meats and vegetables. Chestnut puree can be sweetened, blended with butter, sugar, vanilla or chocolate and incorporated into desserts such as tortes and ice cream, or the puree can be used as icing in cakes. The flavor of chocolate matches particularly well with chestnut. Chestnuts are ground and blended with chocolate to create chocolate chestnut torte, one of the favorite dishes of the holidays at our farm at Chestnut Hill. The recipe is Here. The traditional European dessert, "Mont Blanc." Is made with ground chestnuts sweetened with honey and topped with sweet whipped cream and served in a cone shape resembling the famous French Alps peak. Marron glace are candied chestnuts and were invented in the 18th Century in France. These incredibly delicious treats are often given as gifts during the holidays and at New Year with wishes of wealth and happiness. Chestnut honey is considered an aphrodisiac in Italy and has a unique, intense flavor. In Croatia chestnut honey is the base in making chestnut brandy. Chestnut wine is a delicious dessert wine with rich chocolate and cherry flavors. 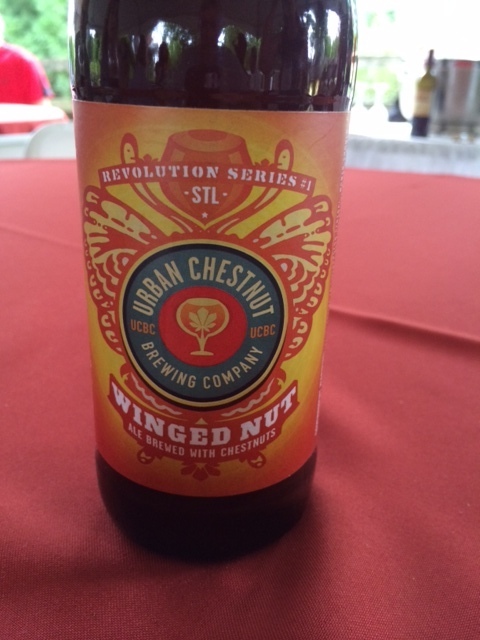 Chestnuts have become a popular addition in making beer, giving the brew a sweet nutty flavor. 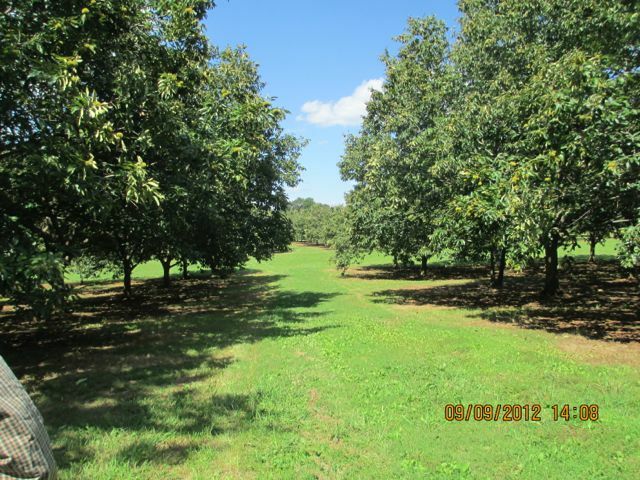 Breweries in the U.S. are discovering chestnut beer. 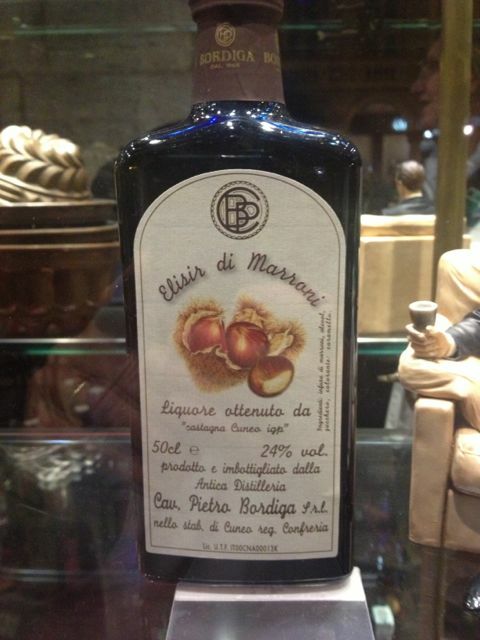 Chestnut liqueur is popular in Italy as a digestif after dinner drink.